Junio's exhibition coincided with the A Woman's Place is in the Gallery: Guerrilla Girls, 1985-2015. Both exhibitions celebrated 30 years of Women & Gender Studies at Augustana College. "Camouflage as a Metaphor for Passing is a body of work that articulates the specific intersections of my identities as a queer, Filipino American immigrant, and US Navy veteran. 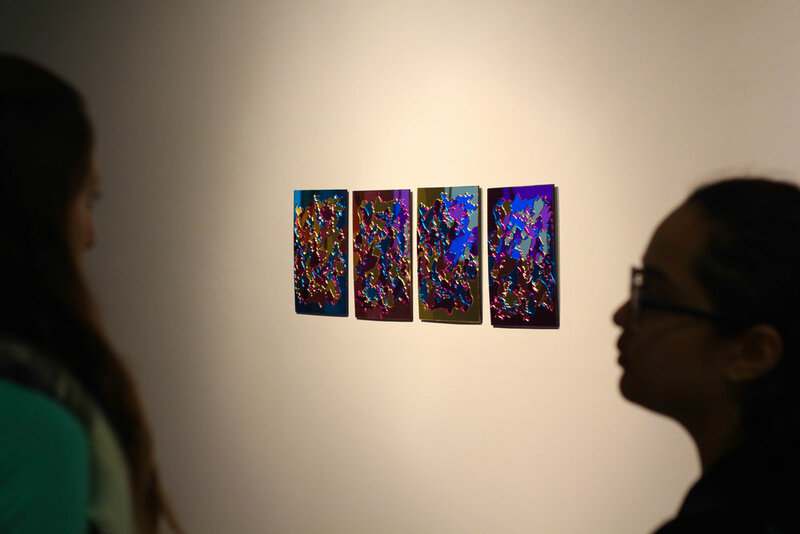 I associate camouflage’s use in nature, and the camouflage pattern in military and contemporary art history, and investigate how they collide with ideas of Filipino and Asian visibility in the context of postcolonial studies." 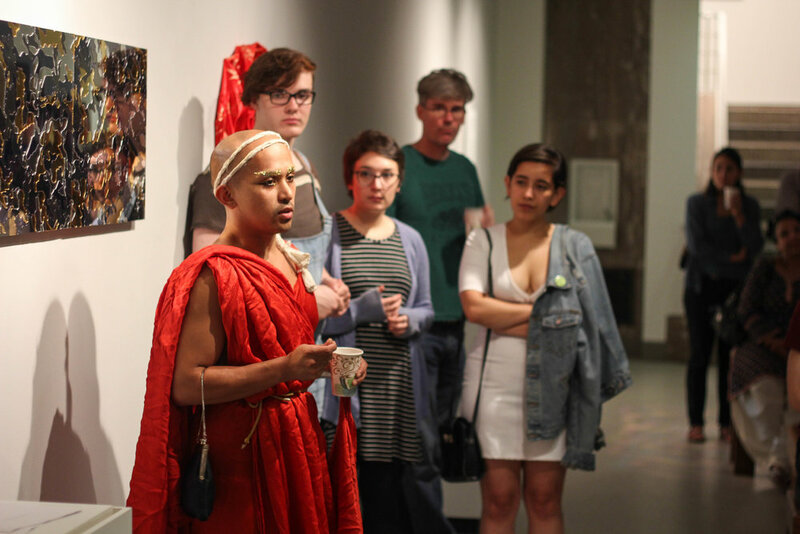 -Kiam Marcelo Junio, "exhibition essay"
At the opening reception, Junio spoke to visitors about their artistic practice, engendered discussion about identity and took questions about their work. In collaboration with Rozz-Tox, the Augustana Teaching Museum of Art hosted a performance of two chapters of Kiam Marcelo Junio's Sacred Skin: Chapter 1: The Big Bang (video screening) and Chapter 2: On Earth as it is in Heaven (live performance) at Rozz-Tox.